In the first author’s interview on Curious Book Fans site we talk to Sorayya Khan, author of novels Noor (2003) and Five Queen’s Road (2009). She was born in Europe, grew up in Pakistan and now lives in the US. Her story, “In the Shadows of the Margalla Hills,” won the 1995 Malahat Review First Novella prize. Choose favourite books and win a book! 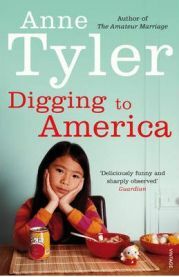 Here it comes – the first ever competition/book giveaway on Curious Book Fans site. You can win one of the recently published books. The prize list features latest book from Orange prize winner Kate Grenville – ‘The Lieutenant’ and ‘One Day’ by David Nichols – great bestseller, currently No 11 bestselling book on Amazon.co.uk. Rules are simple and competition is open until April 16th. 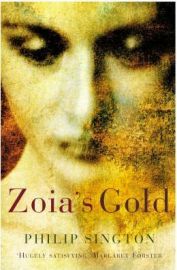 They say you should never judge a book by its cover, but I’m afraid it was the cover of Zoia’s Gold that attracted me to it. The woman’s face reminded me a little of an Italian Renaissance Madonna with the soft shadows reminiscent of Leonardo da Vinci’s genius. Reading the blurb on the back cover. I am a bookworm. It’s a name I’ve had (amongst many!!) since school as I forever had my nose stuck in a book. I haven’t changed much since then, although I don’t read as much as I used to. I do love the power of words and the escapism that it provides and I’m forever asking people/reading reviews and generally seeking out the next book which will take me away from my little life for five minutes or so. 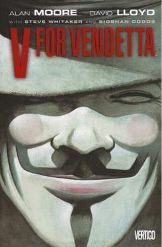 V for Vendetta is a 286 page graphic novel by Alan Moore collected from the original series of strips he produced with illustrator David Lloyd. 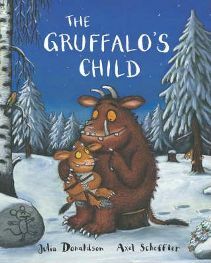 ‘The Gruffalo’s Child’ is another delightful children’s picture book by the fantastic team of Julia Donaldson and Axel Scheffler. Although it can be read as a standalone story, I think your child will get more enjoyment out of it if they have read ‘The Gruffalo‘ first. If you don’t know the story of ‘The Gruffalo’ it is basically about a small mouse who meets a number of creatures in the forest who all want to eat him! Confused yet? This scenario sounds impossible, but has come about because Henry is the first person in the World to be diagnosed with a genetic condition called Chrono-Displacement Disorder. 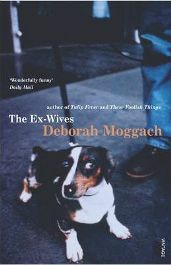 The Ex-Wives by Deborah Moggach is one of the author’s many contemporary novels. However, she is most well known for an historical novel called Tulip Fever, set in 17th century Amsterdam. The Ex-Wives opens with the central character of Buffy (Russell Buffery), an actor, feeling old and sorry for himself. He has ex-wives, as well as other partners he hasn’t married, children and step-children and now has to quite literally pay for his past “mistakes”. This is a fascinating book. 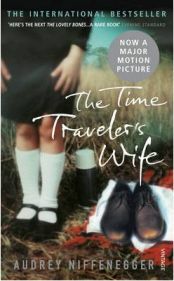 It is very different from the type of fiction I would usually choose – straightforward and to the point, but that made it refreshing, and I will most certainly be looking out for other books by the same author. I would recommend that people go into it with an open mind and see where it takes them – I have my opinion of what it all means, but it is up to the individual to make up their own minds. 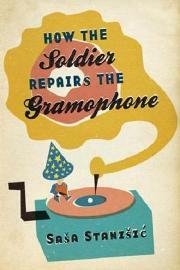 It probably won’t sound like most people’s idea of a good read, but it actually is surprisingly readable.